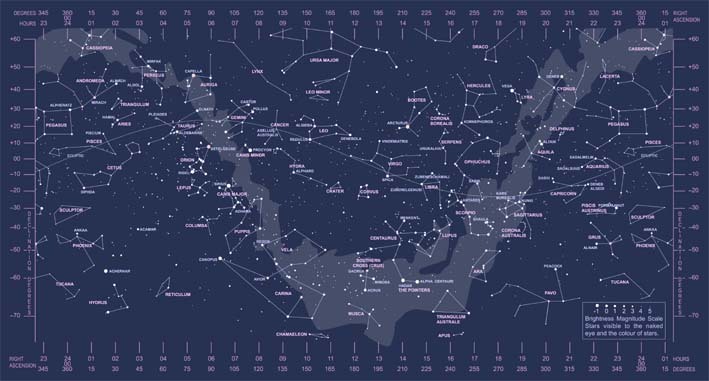 Sure, there are a lot of planetarium software both in the computer and in your phones, but if you don’t want to print daily/ weekly star charts, the planisphere (or also called star chart) is the most suitable way to accompany your night stargazing. Star chart is valid for the entire year, you just need to rotate the wheel to your intended date. 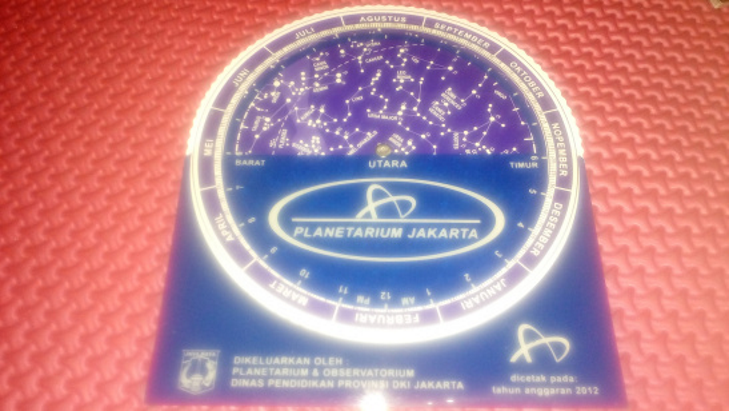 If you’re Indonesian, and you want to buy a planisphere, your best bet is the Planetarium Jakarta version. I am very fortunate that I have both of these Planetarium Jakarta planispheres (pictured). I like the newer version (top, dark blue) because it’s more water-resistant and smaller. The older one though, perfect for scribbling notes. Sadly, they’re not available online, so to be able to have it, either you have someone get them for you from Jakarta or you have a connection, or you would end up with no planisphere. If you want to make them by yourself, it’s actually pretty easy, especially if you have the template. Example for Indonesian version can be obtained in langitselatan. You can print them on normal paper and assemble them yourself, for better version though, I suggest either thicker paper, you laminate them after, or just go print them in thicker plastic/ acetate. Being equator-ian(? not really, I was actually in –10o but close enough), the only planisphere I know is the two-sided one, for equator region, with the northern sky the in one side, and the southern sky in the other side. After googling for material for astronomy outreach though, I’ve just realised that yes, sure you need both sky hemispheres if you live near the equator, but for people in higher latitude, sure they don’t need the sky chart for the other hemisphere? Apparently, the more common version for planisphere in the UK is a one-sided one. With that kind of planisphere, sure you have less to print, but howdy, it feels more awkward for me to try to correlate distorted shapes on the paper to the 3D globe that’s the night sky. 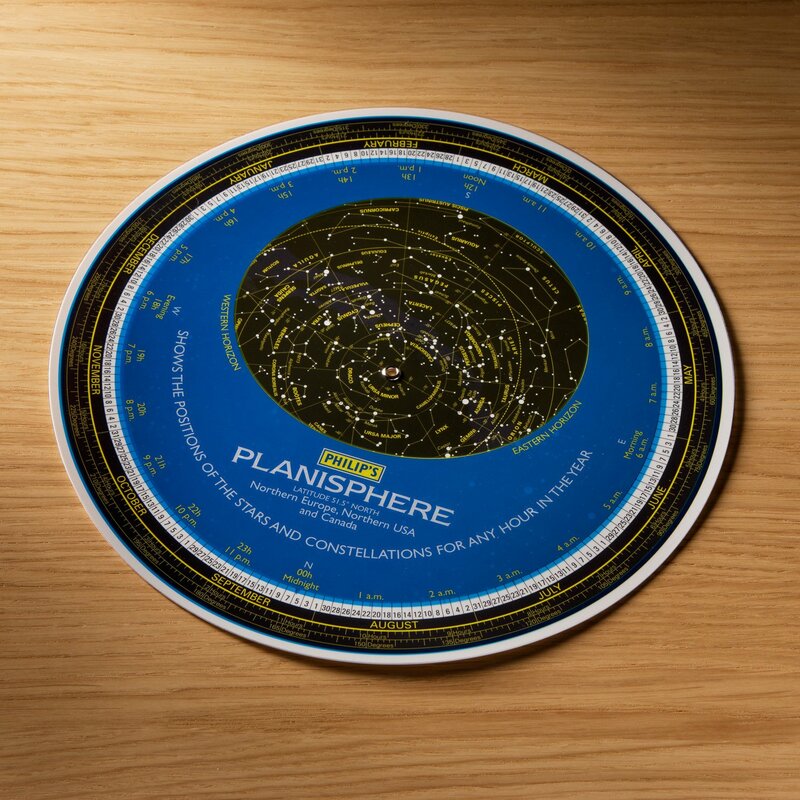 Anyway, if you want to have planisphere for places other than the equator (and the equator version too), there’re a lot of places to order it online, or, download and print them for you to use at home. 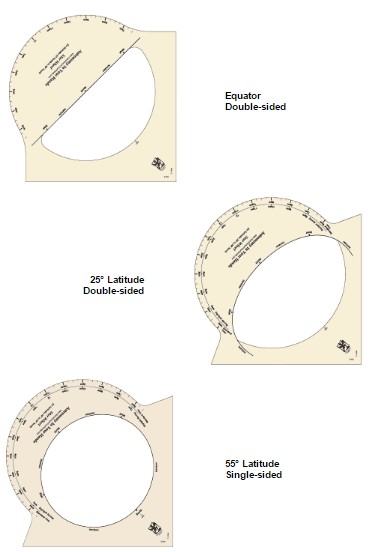 Other than the one-sided ones, (like in this site, unfair that there’s no equator one, haha) you can also have the two-sided version, like the ones provided in this site (for 5o increases) or this site (for insert-your-coordinate variant). I personally think (and I think other people do as well that these two-sided planispheres are better). You can see that the higher your latitude is, the curvier the arc is (and the more covered the sky will be). So, after this, hopefully, you can print them yourself and enjoy the sky. If you need a flashlight to look at the map, better to cover the flashlight with red acetate to produce red light (nicer to the eye), and don’t flash it upward to the sky. Where do you live? Is that in the northern hemisphere or the southern hemisphere? Have you every seen Crux/ Alpha Centauri/ Polaris/ Ursa Major? What’s your favourite constellation? There is this interesting book about flags (•Flags of the Night Sky: When Astronomy Meets National Pride By André G. Bordeleau) with celestial objects in it. Most interesting definitely the difference between Australia’s and New Zealand’s southern cross and the depiction of the night sky in Brazilian flag. Posted on September 11, 2016, in Learning, Making, Spacing and tagged astronomy, Making, map, print, star chart. Bookmark the permalink. Leave a comment.